As an athlete, perhaps from New Port Richey, you need to allow your body to adapt to higher levels of training. This will help you avoid overuse injuries, which are mainly caused by running a lot within a short span. To know whether you are increasing your mileage gradually, you need to consider such things as volume, which is the number of kilometers you cover daily and weekly; intensity, which is how hard your run is; and frequency, which is the number of days you run on a weekly basis. According to the common rule of thumb, distance covered should be gradually increased by 10% weekly. However, the rule is somehow discouraged since it does not give the body enough time to adapt higher level running before it becomes even much higher. It also does not allow for time to increase the intensity. To safely increase your running distance, try a 4-week cycle. This means that in week 1, you should increase your running distance by 10% – 20%. And this should be done by adding 1 – 2 miles to your run and a mile to each other run. While doing this, try to keep most or all of your runs at a comfortable effort. In weeks 2 and 3, you need to maintain your running distance. Also, try to add 1- to 2-speed workouts. Week 4, however, don’t add anything but focus on reducing your mileage by 10% – 15% for a cutback week. Cadence is the number of steps you take while running. For years, many people have viewed heel striking as the cause of increased risk of injury. But this notion was soon discarded after a 2016 study from Harvard Medical School. According to the study, pounding, which is impact loading, was the cause of many bone and soft tissue injuries. This means that pounding on the ground harder increases the likelihood of an injury. Improving running cadence will help you reduce the chances of sustaining an injury caused by pounding. By taking more steps per minute, your feet will be spending less time in contact with the ground, and this helps reduce your chances of pounding against the ground. When running, try to take as light and quick steps as possible. Also, be sure to land with your feet beneath you and not in front of you. Wear properly fitting shoes that match your pronation as well as offer the much-needed support and stability. You can also reduce the risk of injury by replacing worn-out shoes. Consider using RunKeepers Shoe Tracker to effortlessly detect wear on your shoes. If you feel that your shoes do not feel as supportive as they were before, or if the traction is worn down on the bottom, you may consider going for a new pair to help prevent complications like a foot injury. The shoes you wear to work can also lead to lower extremity injuries. High heels, for example, can irritate the Achilles tendon and calf muscles. Moreover, flip flops can lead to a number of biomechanical issues that will later have negative effects on your running. If you know you will be on your feet for long hours, go for supportive shoes with arch support. They are within easy reach in New Port Richey. According to research, there is a connection between weak and imbalanced hip and glute muscles and lower extremity injuries. Imbalanced hips can have some effects on how your feet land by altering your running form. Weak glute muscles will make other small muscles (like calves and hamstrings) to compensate and overwork. The good news is the risk of running-related injuries (such as hamstring strains, runners knees, and IT band syndrome) can be reduced. And to successfully achieve that, you need to include strength training for the hips, core, and glutes at least two times every week. You should also consider single leg variation of deadlifts, squats, and bridges, as they correct imbalance muscles as well as improve stability. Since most of these exercises can be performed by only using body weights or simple equipment (resistance bands, dumbbells, and medicine balls), you will be able to fit in strength training at the comfort of your home. Did you know that what you eat also have some effects on the risk of running-related injury? Your body needs calories and nutrients to fuel your running as well as recover after a workout. Therefore, you should focus on eating the entire food group and avoid living on a diet of low-nutrient junk food. Try to eat 5 – 9 servings of veggies and fruits with a variety of colors on a daily basis. These servings provide antioxidants, minerals, and vitamins that your muscles will find handy when it comes to recovery. Additionally, eat such calcium-rich foods as cheese, yogurt, and other dairy products as well as leafy greens because they ensure healthy bone density and prevent stress fractures. Your body needs to heal from the miles covered during running; hence, you should not take rest for granted, lest you will be injured. By resting, you will be able to heal the microtrauma in your muscles, which occurs after each run. And with the healed microtrauma, expect to have a stronger body. Investing in rest days helps your body recover enough and prevent muscles, joints, and bones from actually becoming weaker. Rest for 1 – 2 days every week depending on how many days you run. If you choose to do any activity during this period, make sure it is low intensity and gentle. Such gentle activities include yoga or taking a light walk in the streets of New Port Richey. Ideally, make rest a priority if you are training for a long distance race like a half marathon or marathon. The harder you train, the more rest you need for proper body recovery. 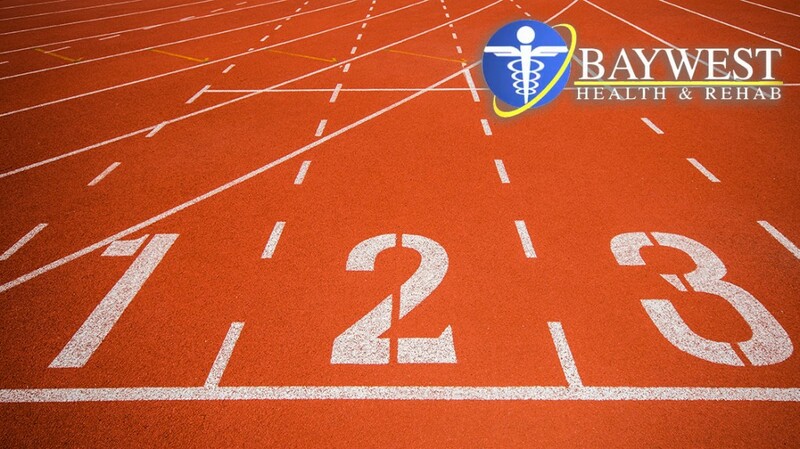 Therefore, take 3 – 7 days of rest if you ran a half marathon and 1 – 2 weeks off in the case of running a marathon. This is important unless you want to take 2 – 6 weeks sidelined with an injury.